Assist you in staging your home and provide tips on how to prepare for showings. 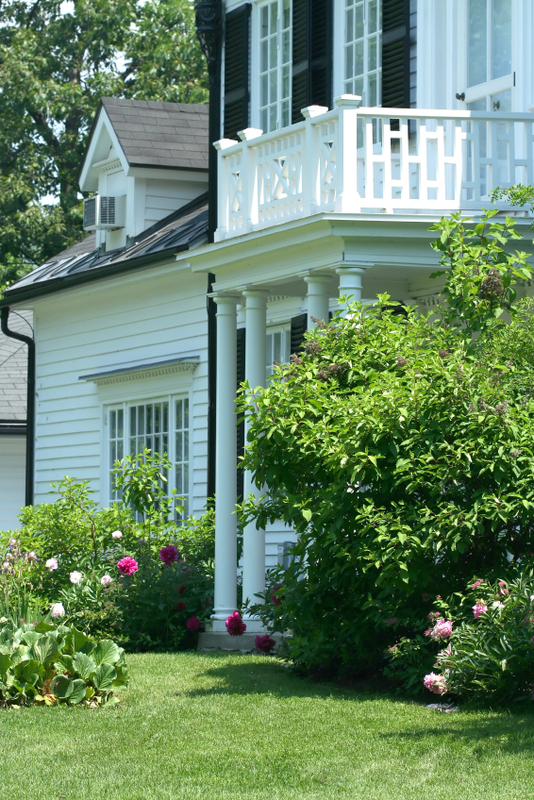 Review your home’s curb appeal and recommend possible improvements to yield the highest price. Notify buyers we know who are shopping for a home like yours. Invite our extensive network of area agents to stop by and preview your home for possible buyers. Photograph your property, interior and exterior. 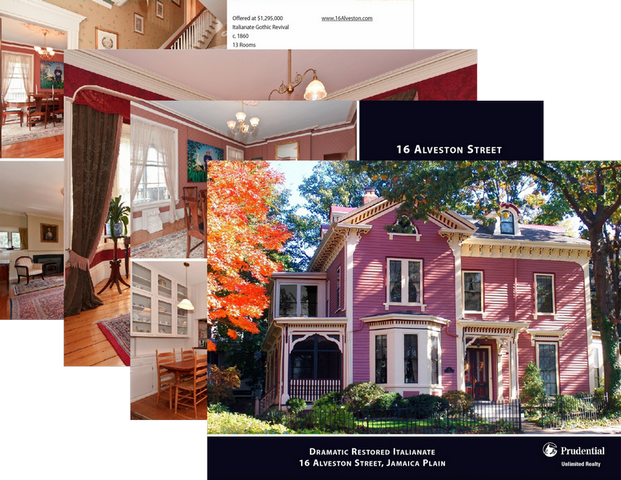 Professionally design and print full color marketing materials for your property. 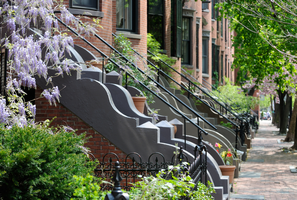 Mail a postcard presentation of your home to a targeted list of 100-200 people who know your neighborhood and might know likely buyers. 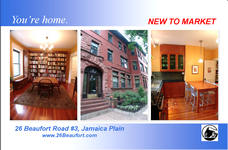 Display a large full color poster of your property in the most exciting real estate window gallery in Jamaica Plain Centre. 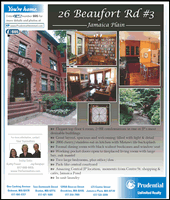 Place ads and Open House listings in major newspapers as well as targeted niche publications. Have your home professionally photographed for a Virtual Tour and link to it in all our electronic marketing pieces. List your home in all the relevant multiple listing services with multiple photos, accurate details and an attractive description. Email alerts to area agents whose buyers’ search parameters match your home’s features. 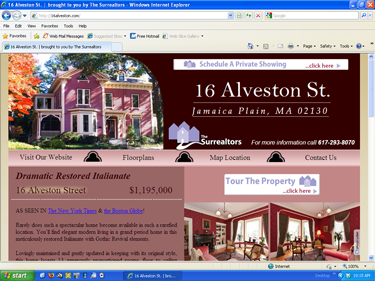 Design a custom website named "YourHome'sAddress.com" that includes photos, details, an attractive description of your home and floor plans. 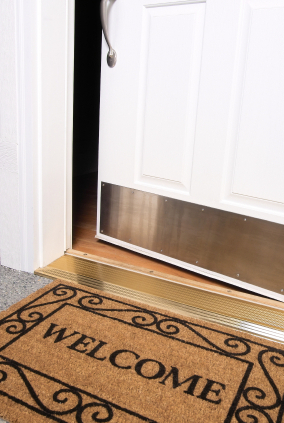 Your home’s web address will appear in all marketing materials on-line and in print. On your home's website, area maps and links to neighborhood services and local businesses will introduce potential buyers to your neighborhood. 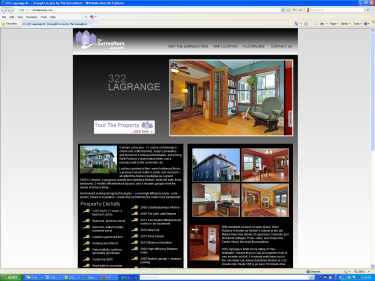 The website will also alert them to upcoming Open Houses. 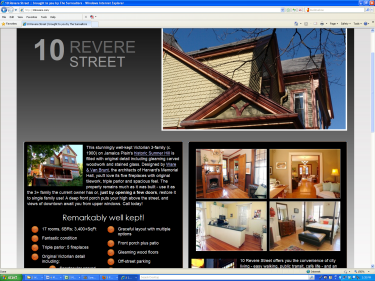 Announce Open Houses in Realtor.com, MLS, LINK, Boston Homes, the Boston Globe, Boston Herald, Boston.com and all the home search websites that announce Open Houses. Accompany showings so that we can point out your home’s best features and help buyers imagine the possibilities. 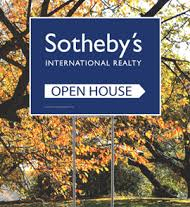 Host Open Houses and follow up by phone or email with every visitor or their agent. Network with hundreds of real estate agents, leveraging our forty years of relationships to establish trust in our presentation of your home.